Operations Management is delivery-focused, ensuring that an organization successfully turns inputs to outputs in an efficient manner. The field of operations management includes procurement (purchasing), supply chain management, and logistics. It is used to determine the price you pay for an airline flight and how to effectively design the layout of a grocery store. Operations management (OM) involves the essential steps of producing goods, quality control, quality management, managing the supply chain, facilities management, product formulation and design, ordering of goods, warehousing of goods, contacting vendors, and purchasing of external products. Operations management is a great choice for students who are detail-oriented and constantly think about how to make processes more efficient. All first year commerce students will take a common set of classes before entering a specialization, such as operations management, in their second year. Introduces students to concepts and decision-making techniques used in the design, planning, execution, control, and improvement of operations of world-class manufacturing and service companies. It begins with introductory issues such as operations strategy and forecasting, continue with design topics such as product design, capacity planning, process design, facility layout, work design, and location planning, then covers quality management and control, and finally ends with planning decisions such as inventory management, aggregate planning, material requirements planning, just-in-time systems, scheduling, and supply chain management. Time permitting, project management and waiting line management may be covered too. Deals with modelling business problems to help managers make better decisions regardless of their functional areas. It introduces students to analytical decision making tools including linear programming, integer programming, network models, decision analysis and simulation. Spreadsheets will be extensively used for solving managerial problems. Introduces fundamentals of purchasing and supply management, including terminology, concepts, procedures, and models. It includes purchasing objectives and organization, operating procedures, specification, supply search and supplier selection, price determination, bidding and negotiation, forward buying, cost and value analysis, outsourcing, legal and ethical issues, supplier relations and partnerships, warehousing, inventory control models, and material requirements planning. The first 2/3 of the course concentrates on purchasing, while the remaining 1/3 focuses on inventory control systems. Purchasing uses decision-making cases, whereas Inventory Control emphasizes quantitative problems and models. Where appropriate and available, selected software programs will be used. Students from around the world choose to study at the Edwards School of Business because we offer hands-on experiential learning in every area of study. You go beyond analyzing cases and into communities, graduating with legitimate consulting experience on your résumé. Our four year B.Comm. degree helps students develop the critical thinking, problem solving, communication and teamwork skills that employers demand. In 2017, 92.9% of graduates were employed in their field and only 7.1% were still looking for a job within six months of graduation. At Edwards, we have a dedicated student advisory team which means you can book an appointment to see an advisor within a day (using our online booking system). We also offer same day drop-in service for quick questions. Our young, vibrant faculty consistently earn prestigious teaching awards, attesting to their investment in your learning. Operations management graduates are very influential in the business world. When it comes to deciding how to produce a certain automobile or ordering the right amount of product, they are the ones in charge. There are job opportunities in areas such as distribution and logistics, purchasing, quality assurance, inventory control and warehousing. "The faculties undying passion (especially that of Dr. Keith Willoughby) for the field of Operations Management is what inspired me to pursue OM as a major. It is quickly becoming a recognized asset in many industries, and we are one of the select few universities to offer it as a distinct major. Pursuing this unique profession led to an amazing Co-op placement for Mission Hill Family Estate Winery in Kelowna, BC. 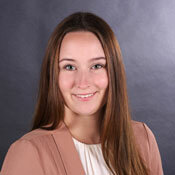 It allowed me to experience an industry that is foreign to Saskatchewan, and gave me the opportunity to assist with innovative changes within the company." The Bachelor of Commerce (B.Comm.) degree is a four year program offered by the University of Saskatchewan's Edwards School of Business. All undergraduate students admitted to the Edwards School of Business are required to complete a common first-year of studies. In January of your second year, you'll apply to a specialization in Accounting, Finance, Human Resources, Management, Marketing or Operations Management. The school has a dedicated centre for career-related support. Edwards Career Services offers workshops on resumé writing and interview skills, and also administers the Edwards Co-operative Education Option. 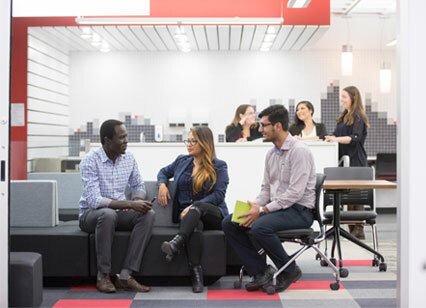 The co-op option is an opportunity for third-year business students to participate in an eight-month paid work term and gain practical experience in their field of study. Edwards students have an opportunity to pursue studies around the world. Taking university classes in another country will broaden your horizons, enrich your university experience and open your employment opportunities globally. Edwards School of Business have study agreements with a number of universities (in Austria, Australia, France, Sweden, Thailand and many other locations) where you can study a pre-approved set of classes and credit will transfer back to the B.Comm. degree program. Today is the right time to develop a global mindset and show employers you have the skills to work in international business. Canadian companies are expanding their footprints around the world, growing and leveraging global relationships and using global supply chains to gain advantage. Saskatchewan exports are at over $35 billion annually, making the Edwards School of Business a prime location to study global business and prepare for an exciting career. There are two global business credentials that B.Comm. students can pursue - the Global Business Stream (GBS) and/or the Advanced Global Business Stream (GBSA). Both require you to take specific classes that relate to International business as well as attend Going Global Workshops. Speak with an academic advisor if you are interested in this option.